US Senators and Representatives determine legislation that can directly affect corporations' stocks. Some view Congressional representatives' trading of stocks in industries under the jurisdiction of their Congressional committees to present at least a conflict of interest or at worst insider trading. In 2007, 45 corporations, spanning finance, insurance, oil, pharmaceutical, telecom, and other industries, made the 10 richest Senators' top 5 stocks owned, purchased, and sold lists. Government appropriations totalled over $18 billion to these companies. The charts below detail the 10 richest US Senators' (and Barack Obama's) publicly traded stock investments in 2007, their financial disclosure reports, and other relevant factors that could pose as conflicts of interest. Such factors, provided under "Additional Information," include membership in committees that have jurisdiction over companies in which the Senators invested, the Senators' personal relationships with the companies, and the amount of government appropriations to each company. Click here to read our methodology, information on how to read the charts, and additional notes of interest. Extension for filing requested. New deadline was Aug. 13, 2008. Not available as of Oct. 3, 2008. 1. Exxon Mobil Corp. $65,002 - $150,000 • Exxon Mobile Corp. received $1,024,498,594 in government contracts for fiscal year 2007, including over $1 billion from the Defense Logistics Agency. 2. Procter & Gamble Co. (P&G) $30,002 - $100,000 • Procter & Gamble Co. received $312,449,362 from government contracts for fiscal year 2007, including approx. $312.2 million from the Defense Commissary Agency. 3. General Electric Co. (GE) $17,003 - $80,000 • General Electric Co. received $3,176,850,382 in government contracts for fiscal year 2007, including a total of approx. $2.6 billion from the Navy, Air Force, and Army. 4. American International Group, Inc. (AIG) $16,002 - $65,000 • American International Group, Inc. received $1,783,492 in government contracts for fiscal year 2007. Over $4,000,000 • General Electric Co. received $3,176,850,382 in government contracts for fiscal year 2007, including a total of approx. $2.6 billion from the Navy, Air Force, and Army. Over $3,500,000 • Coca-Cola Enterprises received $94,102,598 in government contracts for fiscal year 2007, including approx. $86.4 million from the Defense Commissary Agency. 3. Heinz H J Co. Over $3,000,000 • Heinz H J Co. received $41,262,252 in contracts from the Defense Commissary Agency in 2007. Over $3,000,000 • Microsoft Corp. received $48,298,769 in government contracts for fiscal year 2007, including a total of approx. $29 million from the Army, Air Force, and Navy. 5. American International Group, Inc. (AIG) Over $2,000,000 • American International Group, Inc. received $1,783,492 in government contracts for fiscal year 2007. 3. Staples, Inc. $2,002 - $31,000 • Staples received $5,598,531 in government contracts for fiscal year 2007. 5. Tractor Supply Co. $2,002 - $31,000 • Tractor Supply Co. received $45,475 in government contracts for fiscal year 2007. 3. Motorola, Inc. $811,013 - $1,865,000 • Motorola, Inc. received $321,312,697 in government contracts for fiscal year 2007, including a total of approx. $239 million from the Army, US Customs Service, Navy, and Air Force. 5. Sprint Nextel Corp. $667,005 - $1,480,000 • Sprint Nextel Corp. received $144,872,352 in government contracts for fiscal year 2007, including a total of approx. $89 million from the Federal Technology Service, Army, Defense Information Systems Agency, and Navy. 1. Home Depot, Inc. $2,002 - $31,000 • Home Depot, Inc. received $3,375,849 in government contracts for fiscal year 2007. 4. Exxon Mobil Corp. $2,002 - $30,000 • Exxon Mobile Corp. received $1,019,577,625 in government contracts for fiscal year 2007, including over $1 billion from the Defense Logistics Agency. 5. Microsoft Corp . $2,002 - $30,000 • Microsoft Corp. received $48,298,769 in government contracts for fiscal year 2007, including a total of approx. $29 million from the Army, Air Force, and Navy. Over $11,265,000 • Heinz H J Co. received $41,262,252 in contracts from the Defense Commissary Agency in 2007. 3. Raytheon Co. $960,010 - $2,200,000 • Raytheon Co. received $11,662,797,975 in government contracts for fiscal year 2007, including a total of approx. $10 billion from the Army, Navy, and Air Force. 4. Tyco International Ltd. $781,008 - $1,715,000 • Tyco Intl. Ltd. received $281,798,947 in government contracts for fiscal year 2007, including a total of approx. $205 million from the Air Force, Army, Navy, and Department of Veterans Affairs. 5. Schering Plough Corp. $715,005 - $1,550,000 • Schering Plough Corp. received $6,584,349 in contracts from the Defense Commissary Agency for fiscal year 2007. Sen. John Kerry (Mass. ), the 2004 Democratic nominee, has blasted his colleague John McCain (Ariz.), the expected Republican presidential candidate, in recent days for pursuing policies that he says benefit the oil industry. Kerry has tens of thousands of dollars invested in those same companies, but an aide to the senator said the investment is held in trust and Kerry has no control over it. Kerry's financial disclosure reports show two investments in Exxon Mobil worth between $65,000 and $150,000 combined. He also showed a stake in BP worth between $15,000 and $50,000." 'So common are these companies, both as personal investments and as defense contractors, it would appear difficult to build a diverse blue-chip stock portfolio without at least some of them,' [Center for Responsive Politic's Lindsay Renick] Mayer wrote. Spokesman David Wade said Kerry, who staunchly opposes the war in Iraq, is one of many beneficiaries of family trusts that he doesn't control. Wade also noted that Kerry does not sit on the Appropriations Committee, which has direct control of the defense budget. 'He has a 24-year Senate record of working and voting in the best interests of our men and women in the military, not of any defense contractors,' Wade said." 1. L & R Trust - Qualified Blind Trust Over $50,000,000 No specific stock investments provided. 2. Fiduciary Management Large Cap Fund $50,001 - $100,000 No specific stock investments provided. 3. Fiduciary Management Common Stock Fund $15,001 - $50,000 No specific stock investments provided. "Federal investigations into a well-timed stock sale by Senator Bill Frist are calling new attention to the 'blind trusts' that he and many other government officials use to deal with potential conflicts of interest. Federal ethics laws make it virtually impossible for members of Congress...to set up trusts fully beyond their knowledge or control...[E]thics laws require the annual public disclosure of its contents. So the laws provide for the creation of special 'qualified blind trusts' like Frist's, which are exempt from public disclosure. The laws strictly limit communications between the trustee and the beneficiary, but they also mandate disclosure of the original holdings and notification to the beneficiary whenever an original asset is sold. And the rules give beneficiaries...the power to order the sale of all of a stock or other asset at any time in the name of eliminating a potential conflict. 'That doesn't really sound very 'blind,' does it?' said Celia Viggo-Wexler, vice president for advocacy of the group Common Cause. 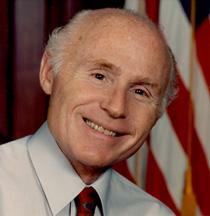 In addition to Frist, other senators with blind trusts of one kind or another include Jon Corzine of New Jersey, Hillary Rodham Clinton of New York, Barbara Boxer of California, Herb Kohl of Wisconsin, Jay Rockefeller of West Virginia and Edward Kennedy of Massachusetts, all Democrats; and Lincoln Chafee of Rhode Island and Michael Enzi of Wyoming, both Republicans." 1. Jan. 27, 1926 Trusts Joseph P. Kennedy Grantor - Excepted Trust $20,000,004 - $100,000,000 No specific stock investments provided. 2. Nov. 28, 1936 Trust Joseph P. Kennedy Grantor - Excepted Trust $25,000,001 - $50,000,000 No specific stock investments provided. 3. Mar. 13, 1978 Edward M. Kennedy Blind Trust $1,000,000 - $5,000,000 No specific stock investments provided. 4. Dreyfus/Laurel FDS Inc. S&P 500 Index Fund $250,001 - $500,000 No specific stock investments provided. 5. Fidelity Commonwealth Trust Spartan 500 Index Fund $250,001 - $500,000 No specific stock investments provided. 1. Vanguard Growth Index Fund $15,001 - $50,000 No specific stock investments provided. 2. Vanguard GNMA Fund $15,001 - $50,000 No specific stock investments provided. 3. Vanguard Index Funds Vanguard Value Vipers $15,001 - $50,000 No specific stock investments provided. 4. Vanguard Index Trust Small Cap Growth Fund $15,001 - $50,000 No specific stock investments provided. 5. Vanguard Inflation Protected Securities Fund $15,001 - $50,000 No specific stock investments provided. 1. Fidelity Balanced Fund $1,001 - $15,000 No specific stock investments provided. 1. Dreyfus/Laurel FDS Inc. S&P 500 Index Fund $15,001 - $50,000 No specific stock investments provided. 2. Fidelity Commonwealth Trust Spartan 500 Index Fund $15,001 - $50,000 No specific stock investments provided. 3. DFA Investment Dimensions Group Inc. IRA Mutual Fund $15,001 - $50,000 No specific stock investments provided. 4. RS Investment TR Microcap Growth Fund $15,001 - $50,000 No specific stock investments provided. 5. DWS Massachusetts Tax Free Fund CL S $1,001 - $15,000 No specific stock investments provided. 1. Spartan US Equity Index Fund $1,001 - $15,000 No specific stock investments provided. 2. Fidelity Spartan Massachusetts Municipal Income Fund $1,001 - $15,000 No specific stock investments provided. 3. Vanguard Index Funds Vanguard Small Cap Value Vipers $1,001 - $15,000 No specific stock investments provided. Such trusts are 'merely cosmetic,' says lawyer Kenneth Gross, an expert on congressional ethics who has helped establish trusts for elected officials. Kennedy, Kohl and others have withdrawn funds in the past five years without knowing their source, according to interviews and financial-disclosure reports." 1. Dec. 18, 1934 JP Morgan Chase Bank Trustee U/I -- Qualified Blind Trust Over $50,000,000 No specific stock investments provided. 2. Feb. 11, 1952 Wachovia Bank Trustee U/I -- Qualified Blind Trust $25,000,001 - $50,000,000 No specific stock investments provided. 3. Jan. 28, 1976 United National Bank Trustee U/A -- Qualified Blind Trust $5,000,001 - $25,000,000 No specific stock investments provided. 4. Teachers Insurance - Annuity Association College Retirement Equities Fund $100,001 - $250,000 No specific stock investments provided. 5. Dec. 5, 1980 John D. Rockefeller IV & Family Trust - Lincoln Financial Group Over $1,000,000 No specific stock investments provided. 1. PepsiCo, Inc. Over $1,000,000 • PepsiCo, Inc. received $145,586,599 government contracts for fiscal year 2007, including approx. $145 million from the Defense Commissary Agency. • Spouse of Senator Rockefeller is Director of PepsiCo Inc.
1. PepsiCo, Inc. $100,001 - $250,000 • PepsiCo, Inc. received $145,586,599 government contracts for fiscal year 2007, including approx. $145 million from the Defense Commissary Agency. • Spouse of Senator Rockefeller is Director of PepsiCo, Inc.
"In the case of Sen. Jay Rockefeller (D-W.Va.), chair of the Senate Select Intelligence Committee, his stock in Pepsico, which is worth at least $1 million, is actually held by his wife, who is on the food and beverage corporation's board of directors. Pepsico received $187 million in defense contracts in 2006, according to OMB Watch. 'His wife's separate holdings have no influence,' Rockefeller spokeswoman Wendy Morigi said. 'Sen. Rockefeller, out of an abundance of caution to ensure there's no conflict of interest, has held all his assets in a blind trust since he was the governor of West Virginia.'" 1. Sep. 23, 1991 Dianne Feinstein Trust -- Qualified Blind Trust $1,000,001 - $5,000,000 No specific stock investments provided. 2. Federated Government Reserve $1,000,000 - $5,000,000 No specific stock investments provided. 3. Bertram Feinstein Trust $1,000,000 - $5,000,000 No specific stock investments provided. 4. Dreyfus Treasury Prime Cash $0 - $1,000 No specific stock investments provided. Over $6,197,000 • Kinetic Concepts, Inc. received $27,500,945 in government contracts for fiscal year 2007, including approx. $21 million frm the Department of Veterans Affairs. Over $4,050,000 • CB Richard Ellis Group received $2,120,047 in government contracts for fiscal year 2007. Over $3,532,000 • Career Education Corp. received $10,285 in services sold to the Air Force for fiscal year 2007. 5. RAE Systems Inc. Over $1,000,000 • RAE Systems Inc. received $1,187,460 in government contracts for fiscal year 2007, including $617,796 from the Navy. From 2001 to 2005, URS earned $792 million from military construction and environmental cleanup projects approved by MILCON; Perini earned $759 million from such MILCON projects. In her annual Public Financial Disclosure Reports, Feinstein records a sizeable family income from large investments in Perini, which is based in Framingham, Mass., and in URS, headquartered in San Francisco..."
"Sen. Dianne Feinstein, D-Calif., has abruptly walked away from her responsibilities with the Senate Military Construction Appropriations Subcommittee after a report linked her votes to the financial well-being of her husband's companies, which received billions of dollars worth of military construction contracts she approved." 1. iShares Trust MSCI EAFE Index Fund $1,000,000 - $5,000,000 No specific stock investments provided. 2. iShares Trust Russell 1000 Growth Index Fund $1,000,000 - $5,000,000 No specific stock investments provided. 3. Vanguard Emerging Markets ETF $250,001 - $500,000 No specific stock investments provided. 4. iShares MSCI EAFE Growth Index Fund $100,001 - $250,000 No specific stock investments provided. 5. iShares Trust MSCI Emerging Markets Index Fund $100,001 - $250,000 No specific stock investments provided. 1. Community Health Systems, Inc. $100,001 - $250,000 • Three Rivers Medical Center, under the parent company Community Health Systems, Inc., received $153,806 in contracts from the Department of Veteran Affairs and Bureau of Prisoners/Federal Prison System for fiscal year 2007. 2. Amgen, Inc. (held by spouse through Liberty View Fund, LLC) $69,000 - $172,500* • Amgen, Inc. received $964,241 in contracts from the Department of Veteran Affairs for fiscal year 2007. 3. Accenture $65,002 - $150,000 • Accenture received $632,730,976 in government contracts for fiscal year 2007, including a total of approx. $394 million from the Department of Homeland Security, Defense Logistics Agency, Department of Education, and Army. 4. Cintas Corp. $65,002 - $150,000 • Cintas Corp. received $1,749,112 in government contracts for fiscal year 2007, including a total of approx. $986,003 from the Department of Veterans Affairs, Army, Navy, and Air Force. 5. Xerox Corp. $65,002 - $150,000 • Xerox Corp. received $177,774,555 in government contracts for fiscal year 2007, including a total of approx. $111 million from the Defense Logistics Agency, Army, Department of Veterans Affairs, and Navy. 1. iShares Trust Russell 1000 Growth Index Fund $2,000,002 - $10,000,000 No specific stock investments provided. 2. iShares Trust Russell 1000 Value Index Fund $500,001 - $1,000,000 No specific stock investments provided. 3. Vanguard Emerging Markets ETF $350,002 - $750,000 No specific stock investments provided. 4. iShares MSCI EAFE Growth Index Fund $200,002 - $500,000 No specific stock investments provided. 5. Streettracks DJ Wilshire REIT ETF $50,001 - $100,000 No specific stock investments provided. 1. Xerox Corp. $78,008 - $295,000 • Xerox Corp. received $177,774,555 in government contracts for fiscal year 2007, including a total of approx. $111 million from the Defense Logistics Agency, Army, Department of Veterans Affairs, and Navy. 2. Accenture $67,004 - $180,000 • Accenture received $632,730,976 in government contracts for fiscal year 2007, including a total of approx. $394 million from the Department of Homeland Security, Defense Logistics Agency, Department of Education, and Army. 3. Cintas Corp. $67,004 - $180,000 • Cintas Corp. received $1,749,112 in government contracts for fiscal year 2007, including a total of approx. $986,003 from the Department of Veterans Affairs, Army, Navy, and Air Force. $66,003 - $165,000 • Waste Management Inc. received $14,191,798 in government contracts for fiscal year 2007, including a total of approx. $10.1 million from the Air Force, Army, and Department of Veterans Affairs. 5. American International Group Inc. (AIG) $61,005 - $215,000 • American International Group, Inc. received $1,783,492 in government finance contracts for fiscal year 2007. 1. iShares Trust Russell 1000 Value Index Fund $2,031,005 - $10,115,000 No specific stock investments provided. 2. SPDR Trust Unit Ser 1 $250,001 - $500,000 No specific stock investments provided. 3. Streettracks DJ Wilshire REIT ETF $200,002 - $500,000 No specific stock investments provided. 4. iShares Trust Russell 1000 Growth Index Fund $165,003 - $400,000 No specific stock investments provided. 5. iShares S&P SmallCap 600 Growth Index Fund $1,001 - $250,000 No specific stock investments provided. 1. American International Group, Inc. $15,001 - $50,000 • American International Group, Inc. (AIG) received $1,783,492 in government finance contracts for fiscal year 2007. 2. Becton Dickinson & Co. $15,001 - $50,000 • Becton Dickinson & Co. received $20,162,603 in government contracts for fiscal year 2007. • Berkshire Hathaway, Inc. received $203,472,592 in government contracts for fiscal year 2007, including a total of approx. $195 million from the Air Force, Army, and Navy. 4. Millipore Corp $15,001 - $50,000 • Millipore Corp. received $12,518,539 in government contracts for fiscal year 2007. • Senator's spouse is Chairman of the Board of Hensley Co., an Anheuser-Busch beer wholesaler and distributor. • TCF Financial Corp. received $4,290 in products sold to the National Park Service for fiscal year 2007. • US Airways, Inc. received $38,419 in services provided to the Air Force in Arizona for fiscal year 2007. ...One of Hensley's largest positions is in US Airways Group, where its stake was recently valued between $100,000 and $250,000. Still, there is nothing to suggest that his wife's indirect financial interest in US Airways poses a conflict of interest for McCain. Massie Ritsch, communications director with the Center for Responsive Politics, says it's not unusual for senators to own stock in companies over which they have political influence and it does not break any rules..."
"Bill and Hillary Clinton have dissolved the blind trust that has managed their investments since they entered the White House in 1993, converting all stocks to cash to avoid financial conflicts as she runs for president, according to documents to be filed today with federal ethics officials. The Clintons were told earlier this year by federal ethics officials that they would need to reorganize their blind trust to comply with laws for presidential candidates, which differ from those for senators. 'Senator Clinton and the president chose to go above and beyond to avoid even the hint of a conflict of interest. They recognize that this choice comes at a personal expense, both in terms of taxes and lower investment returns,' said Howard Wolfson, a spokesman for the senator's presidential campaign." 1. Bright Horizons Family Solutions, Inc. $500,001 - $1,000,000 • Senator Alexander co-founded Corporate Child Care Management, Inc. (now Bright Horizons Family Solutions, Inc.). 1. Bright Horizons Family Solutions, Inc. Over $1,000,000 • Senator Alexander co-founded Corporate Child Care Management, Inc. (now Bright Horizons Family Solutions, Inc.). 1. Bright Horizon Family Solutions, Inc. $450,004 - $850,000 • Senator Alexander co-founded Corporate Child Care Management, Inc. (now Bright Horizons Family Solutions, Inc.). "Alexander's financial disclosure shows that he and his wife, Leslee 'Honey' Alexander, have a net worth of between $11.8 million and $44.2 million. 'In addition to my annual federal financial disclosure form, I have for 30 years released my federal tax returns for every year that I have served in public office in order to help taxpayers evaluate whether my family's income represented a conflict of interest,' said Alexander." 1. Northern Municipal Money Market Fund (held with spouse) $1,000,000 - $5,000,000 No specific stock investments provided. 2. Vanguard FTSE Social Index $100,001 - $250,000 No specific stock investments provided. 1. Bright Directions College Savings 529 Plan (held by dependent child) $100,001 - $250,000 No specific stock investments provided. 2. Bright Directions College Savings 529 Plan (held by dependent child) $100,001 - $250,000 No specific stock investments provided. 3. Vanguard Wellesley Income Fund Investor Shares $100,001 - $250,000 No specific stock investments provided. 4. Vanguard FTSE Social Index $50,001 - $100,000 No specific stock investments provided. 5. Goldman Sachs Large Cap Value A $1,001 - $15,000 No specific stock investments provided. No specific stock investments provided. 1. Northern Municipal Money Market Fund (held with spouse) $500,001 - $1,000,000 No specific stock investments provided. A closer look, however, shows that in 2005 he dabbled in two obscure stocks -- Skyterra Communications SKYT and AVI Biopharma AVII -- that happened to get large amounts of revenue from a source with which Obama has some familiarity: the federal government. Aside from sharing the same deep-pocketed benefactor, the two have one more thing in common. They both provide services in an area that has become a hot-button issue on Capitol Hill and with the electorate: homeland security. To be sure, it's not uncommon to find elected officials in Congress who hold investments in companies that receive federal funding or provide testimony to their legislative committees. In fact, it's hard to find any politicians with money in the stock market who aren't at least indirectly invested in a major government contractor, such as General Electric or Boeing. But Obama's 2005 trades raise questions in that Skyterra Communications and AVI Biopharma are far more speculative and uncommon stocks than those blue-chip staples...While there's no evidence that Obama had a role in the contracts for the companies, given his other investments, it seems an unlikely coincidence that the senator would be familiar with either company except through his work as a legislator. Bill Burton, a spokesman for Obama's presidential campaign, says that in the process of setting up a blind trust for the senator, the stocks were recommended and purchased by a broker at UBS. 'The broker's intention was to hold on to them long-term -- but to avoid any potential conflict, he sold the stock to reinvest the money in mutual funds,' says Burton." "Less than two months after ascending to the United States Senate, Barack Obama bought more than $50,000 worth of stock in two speculative companies whose major investors included some of his biggest political donors. One of the companies was a biotech concern that was starting to develop a drug to treat avian flu. In March 2005, two weeks after buying about $5,000 of its shares, Mr. Obama took the lead in a legislative push for more federal spending to battle the disease. The most recent financial disclosure form for Mr. Obama...also shows that he bought more than $50,000 in stock in a satellite communications business whose principal backers include four friends and donors who had raised more than $150,000 for his political committees. A spokesman for Mr. Obama...said yesterday that the senator did not know that he had invested in either company until fall 2005, when he learned of it and decided to sell the stocks. He sold them at a net loss of $13,000. The spokesman, Bill Burton, said Mr. Obama's broker bought the stocks without consulting the senator, under the terms of a blind trust that was being set up for the senator at that time but was not finalized until several months after the investments were made. Mr. Obama has made ethics a signature issue, and his quest for the presidency has benefited from the perception that he is unlike politicians who blend public and private interests. There is no evidence that any of his actions ended up benefiting either company during the roughly eight months that he owned the stocks. Mr. Burton said the trust was different from qualified blind trusts that other senators commonly used, because it was intended to allow him greater flexibility to address any accusations of conflicts that might arise from its assets. He said Mr. Obama had decided to sell the stocks after receiving a communication that made him concerned about how the trust was set up." Members [of Congress] should not ''be expected to fully strip themselves of worldly goods''-even a selective divestiture of potentially conflicting assets is not required. Unlike many officials in the executive branch, who are concerned with administration and regulation in a narrow area, a Senator exercises judgment concerning legislation across the entire spectrum of business and economic endeavors. The wisdom of complete (unlike selective) divestiture may also be questioned as likely to insulate a legislator from the personal and economic interests that his or her constituency, or society in general, has in governmental decisions and policy. The regulation of legislative ethics largely rests on the public financial disclosure forms that Congressional representatives file annually. These forms allow the public to decide if a member of Congress's investments present a conflict of interest. The public financial disclosure PDFs provided in the charts were retrieved from OpenSecrets.org, a website produced by the Center for Responsive Politics, a nonpartisan watchdog group. Given Senators' knowledge of pending legislation or potential appropriations for decisions that can affect the stocks of these companies, some argue that Senators who trade stocks based on any material, nonpublic legislative information should be subject to insider trading laws (which they currently are not as of Sep. 29, 2008). Our charts focus on the top 10 richest US Senators (and not Representatives) because it includes 2008 presidential candidates John McCain and Hillary Rodham Clinton. Although not in the top 10, Senator and 2008 presidential candidate Barack Obama has also been included for comparison. 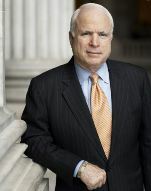 He was ranked 67th in the Senate according to his average net worth in 2006. The Senators are listed according to their average net worth by the end of 2006, from highest to lowest in net worth, as calculated by the Center for Responsive Politics. For each Senator, the chart lists the top 5 publicly traded stocks owned as of Dec. 31, 2007 and the top 5 publicly traded stocks purchased and sold in 2007. The same information is provided for the spouses and dependents of the Senator when such information was provided. The range of the dollar amounts were added up according to the ranges provided for each time the company stock was listed in the financial report. When the total investment ranges were equal for two or more companies, we listed the companies in alphabetical order. There is no upper limit of financial investments over $1,000,000 for Senators' spouses because this information is not disclosed in the financial reports. Each committee on which a Senator sits in the 110th Congressional Session (2007-2008) is represented by a colored symbol, which is used in the "Additional Information" section. Committees that pose potential conflicts of interest with certain investments were selected if services provided by the companies fall under the jurisdiction or oversight of the committees. Information regarding the amount of government contracts received from each company is listed for fiscal year 2007 according to federalspending.org, a project of OMB Watch. When no particular stocks were listed on a Senator's financial disclosure report, we listed the top five funds or trusts that were provided in the Senator's 2007 financial disclosure report. When individual company stocks were listed, funds and trusts were left off to avoid confusion. Excepted Trusts and Qualified Blind Trusts do not require Senators to provide detailed stock investment information and are therefore not listed on the chart. At the bottom of each chart are news articles dated since 2005 found related to the Senators' financial investments that pose as potential conflicts of interest. *Bob Dole's investment in Amgen was calculated by multiplying his percent interest in Liberty View Fund, LLC (0.23%) by the total amount the fund has invested in Amgen ($30,000,003-$75,000,000) as of Dec. 31, 2007.